As much as I'm anticipating the start of spring, I'm looking forward to the upcoming Lilly Pulitzer for Target collection on April 19 a little bit more. 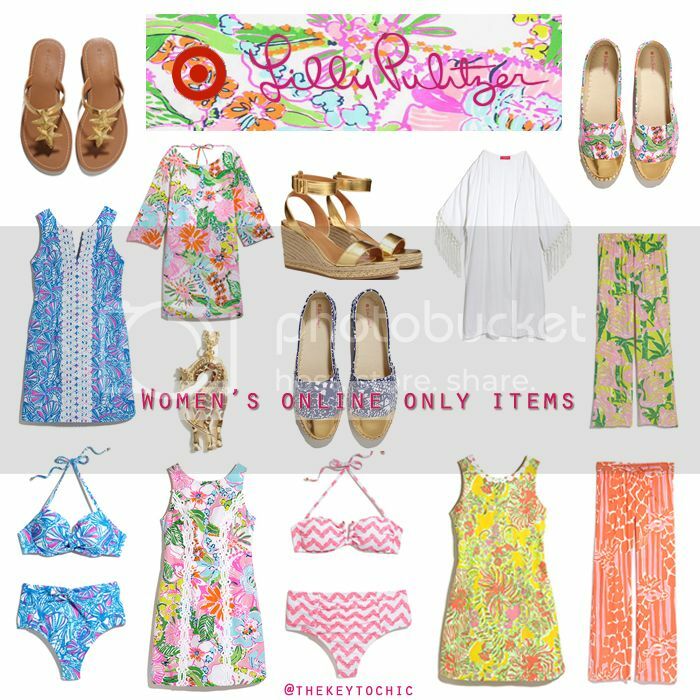 (See a preview of the Lilly Pulitzer for Target lookbook and learn more about the collection.) Read my Lilly for Target review and thoughts on the collection. Although it's over a month away, I'm already planning my shopping strategy. As a devotee of colorful florals and casual clothing, I'm excited to incorporate pieces from the budget-friendly, preppy collection into my wardrobe. With close to a decade of Target collaboration shopping under my belt, I've learned from trial and error exactly how to score each and every piece I want - both online and in-store. Today I'm sharing fourteen tips to help you shop Lilly Pulitzer for Target and get everything on your wish list. Read on for helpful info on how, when, and where to shop the collection. 1. Know where to go. 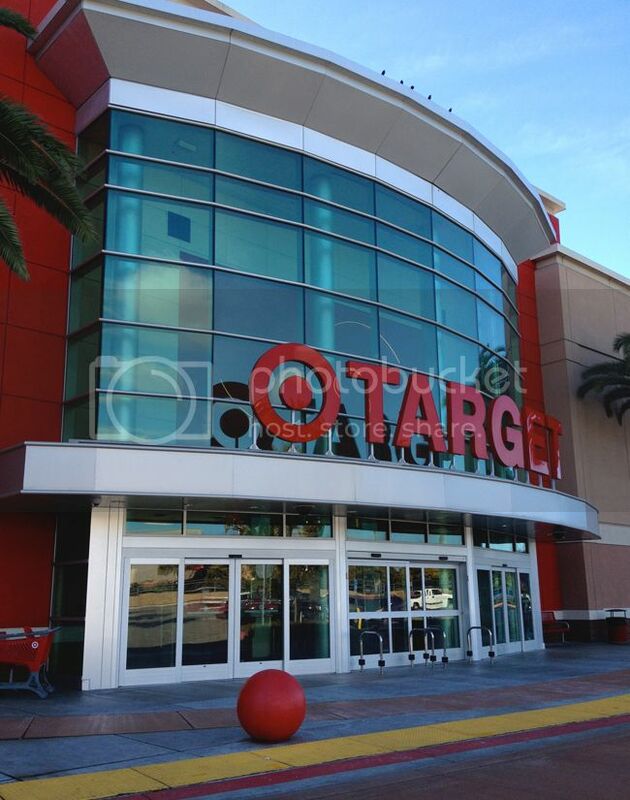 April update - all Target stores will carry the collection, but selection will vary by store. Since I have about 6 Target stores near me, I shop the two or three stores which tend to have the largest selection based upon previous designer collections. Once the collection has launched online, use Target's "find item in store" function to search for specific items in stock in your area. It's not always accurate, but it can be helpful to help you plan your shopping. You can find your closest store here and get their hours of operation. Be ready to stand in line on Sunday morning. 2. Be an early bird. You know what they say about the early bird. My Target stores open at 8am on Sunday, and I've found in the past that if I arrive by 7:30, then I'm able to get what I want, since there aren't crowds in my area. For people who live in large cities, I'd recommend going at least 1-2 hours (or more) before the store opens. For shoppers in more suburban or rural areas, the competition and crowds are reduced, but the selection of goods may be as well. In my experience, stock varies widely from store to store. Sometimes metropolitan area stores and stores in higher income neighborhoods carry a better selection of merchandise. When shopping these limited edition collections, I always wear comfortable shoes, carry a crossbody bag to keep my hands free, and wear neutral clothing to mix and match with collection items for my fitting room photos. 3. Bring a buddy. A family member, friend, or significant other might be able to help you get the pieces you want and help you make purchasing decisions. The Jason Wu for Target cat tote would not be mine if not for a dedicated boyfriend. I may or may not have bribed him to shop with me in exchange for Sunday brunch! For this collection, items will be merchandised in their respective departments instead of all together in one area. For example, apparel in the apparel department, accessories in the accessories department, etc. Home goods will be located in the seasonal area in the back of the store. 4. Check for go-backs. If your favorite clothing pieces disappear from the racks in a flash, check the fitting room go-back rack, as many items end up there during the morning rush to try things on. Be courteous, be patient, and don't be afraid to chat with other shoppers and trade to get what you want! 5. Persistence pays off. Target does not restock these collections, but you can still score your favorites. If you don't find what you want after the launch, check back for returns in the coming days and weeks, as many shoppers take items back to the store. Ahem, buyer's remorse! Don't forget to check the customer service desk and clearance racks for returns as well. Call your local stores to ask what they have. April update - the Lilly for Target pieces will have a 14-day return window. The best part about returns? Online exclusive items are heavily discounted when returned to stores, leaving the door open for other persistent shoppers to get really lucky. After four or so weeks, the collection will be discounted to 30% (and eventually to 50% or 70%) off, so frequent visits to Target after the launch could really pay off. April update - New York City area shoppers will be able to shop the collection at a pop-up shop in Bryant Park on Thursday, April 16 from 8am to 6pm while supplies last. The park will be transformed into a Lilly resort where shoppers can get Essie manicures, enjoy a juice bar, and even play pink pong. April 19, 2015 - Many people are wondering if Target will restock the Lillly for Target collection, and unfortunately, the answer is no. Be on the lookout for returns over the next 14 days, and use #LillyforTarget on social media to connect and trade with others. Good luck! 1. Learn the lookbook. I know it sounds basic, but it's overlooked by some shoppers. Review the lookbook carefully and be prepared. Pick out your favorites, and get familiar with the prints, prices, and colorways. Know which items are online only from the lookbook info (so you can shop those first), and which will be sold in Target stores. For this collection, the plus sizes are online only (bummer, I know). * Sizing note: Women's #LillyforTarget sizes include XS-XXL (2-18) and Plus will include 1X-3X (14-26). When in doubt, buy the size you normally wear in Target's Women's department. 2. Play favorites. Make a list or a collage of your top picks. I like to create a collage in Photoshop (with prices and sizes) as a visual cue of my must-haves. It helps me stick to my budget (more on that in #3) and it saves me time when deciding what to buy. 3. Better stick to your budget. It's easy to get caught up in the frenzy of these collections and go overboard. While Target has a customer-friendly return policy, it's easier to avoid overspending and just buy the pieces you absolutely love and that fill a gap in your wardrobe. For online shoppers, be aware that Target has a policy of 5 items or less per style. 4. Know when and how to shop. 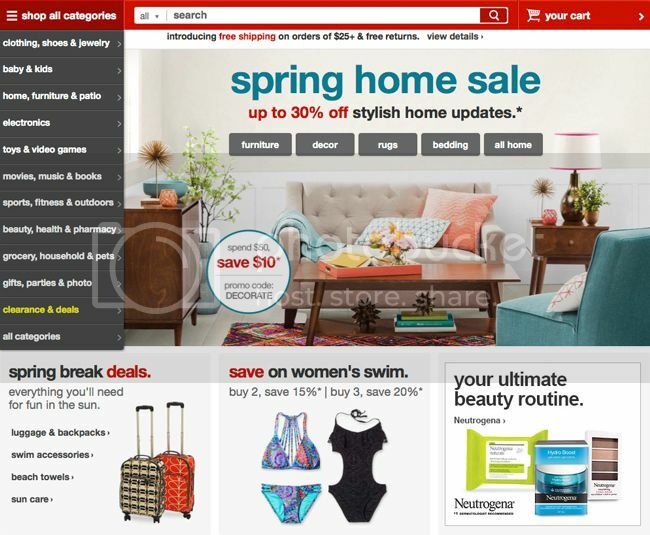 Since Target's collections debut on Saturday night or early Sunday morning, be prepared to stay up late or get up early (depending on your time zone) in order to shop online. If you're on the East Coast, I feel for you! Target doesn't designate or announce a specific time to launch the collaboration online because their site might crash. Join me on Twitter on Saturday night around 8pm PST for the pre-launch. It's where you'll want to be. I promise you'll be so glad you did (more on that in #9). Be extra prepared by using more than one web browser, mobile device, etc. I use Chrome and Safari, and I have had more luck with Chrome. Refresh often and have patience. Items tend to pop up and then disappear during the initial launch. Expect some glitches but don't give up. Remember, persistence is key, and you may have to sacrifice some sleep. Coffee, anyone? 5. Save your info. As the time to shop online approaches, log onto Target.com and have your checkout and payment details saved ahead of time. This makes for faster checkout process and reduces the chances of having your cart emptied before you can click the "complete order" button. Why get a RedCard? Target RedCard users enjoy free shipping, an extra 30 days to return certain merchandise, and a 5% discount on purchases. Sweet! 6. Click quickly. Submit your order right after placing an item in your cart. Do not shop and fill up your cart. Why? Once an item is in your cart, it's not reserved for you. In order to avoid an item being removed from your cart because it's sold out, you need to click quickly and complete your order! If you are a RedCard holder, you don't need to worry about multiple shipping charges if you have multiple orders because shipping on Target.com is free. For non-RedCard holders, shipping over $25 is free. Unfortunately, Target does not ship internationally. 7. Stay social. Use social media channels such as Twitter and Instagram for #LillyforTarget shopping updates, product info, and to connect with other shoppers. Sign up for Target's email updates. 8. Style sharing. I'll also be posting photos on my Instagram of my favorite pieces, with tips on fit, and overall impressions. Naturally, I'll write a comprehensive Lilly Pulitzer for Target review with additional fitting room photos and opinions. 9. A little birdie said. Wanna be the first to shop the collection online? 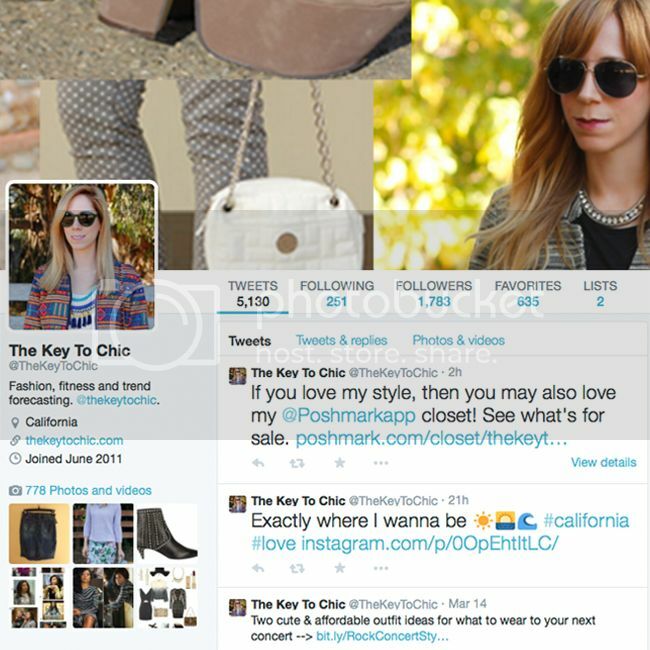 Follow me on Twitter, Facebook and Snapchat (@thekeytochic). Please join me on Saturday night at 8PM Pacific time (and early Sunday morning) on Twitter and Facebook to get tips, ask questions, share your excitement, and to be the first to shop the collection. Happy shopping! * March 26, 2015 update - See the complete lookbook and interactive #LillyforTarget party, and get six Lilly for Target outfit ideas to help you plan your wish list. 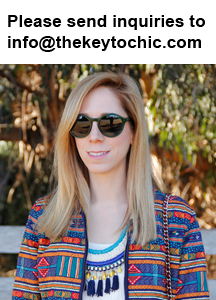 *April 20, 2015 - read my Lilly for Target review with fit and sizing info as well as fitting room photos. *April 21, 2015 - See lots of affordable and stylish alternatives to the Lilly for Target collection.